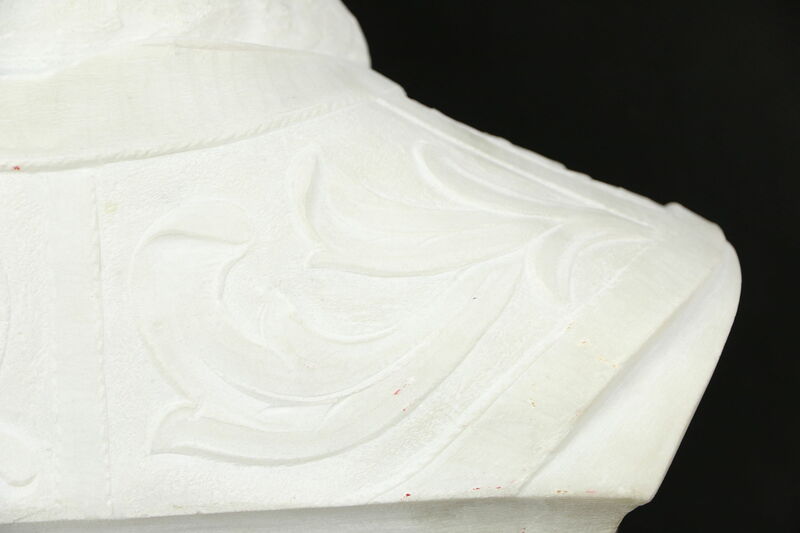 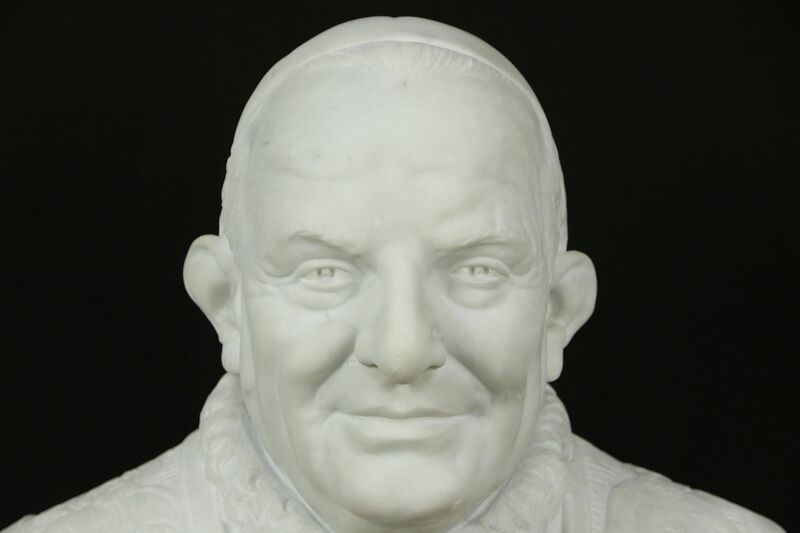 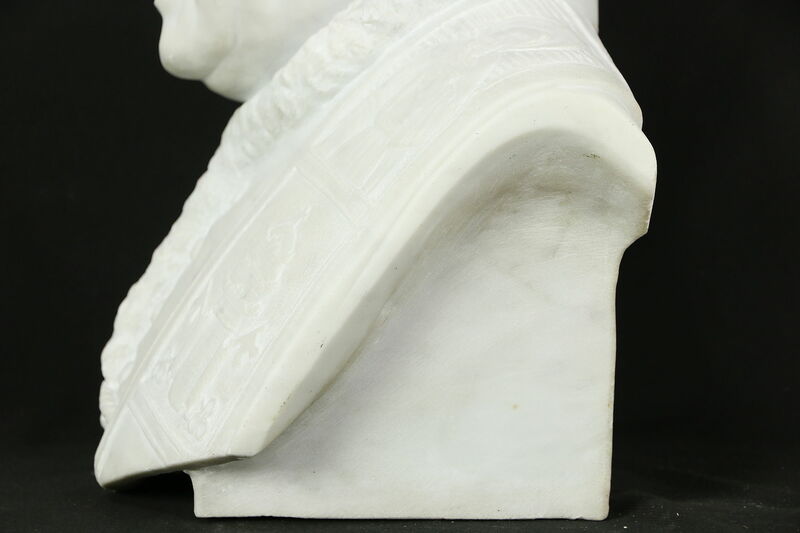 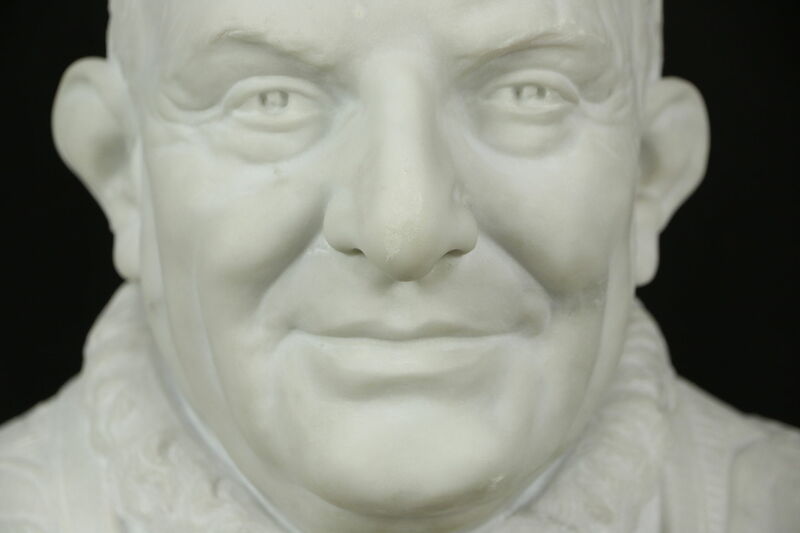 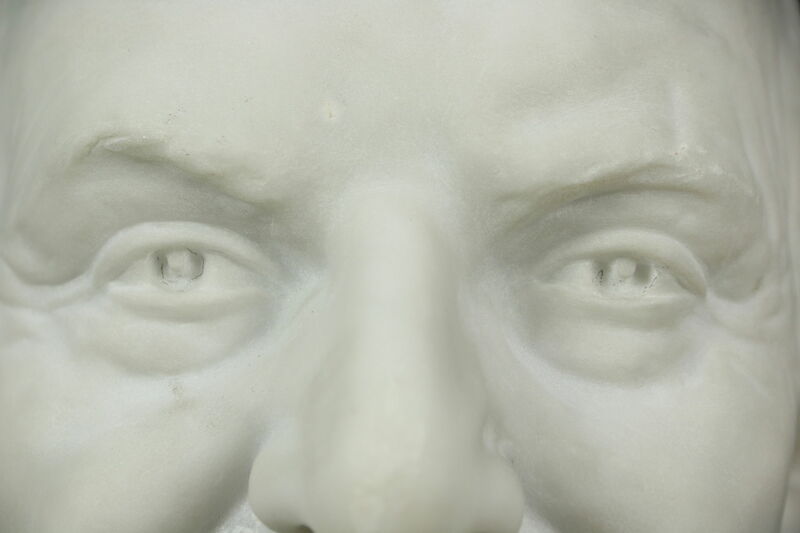 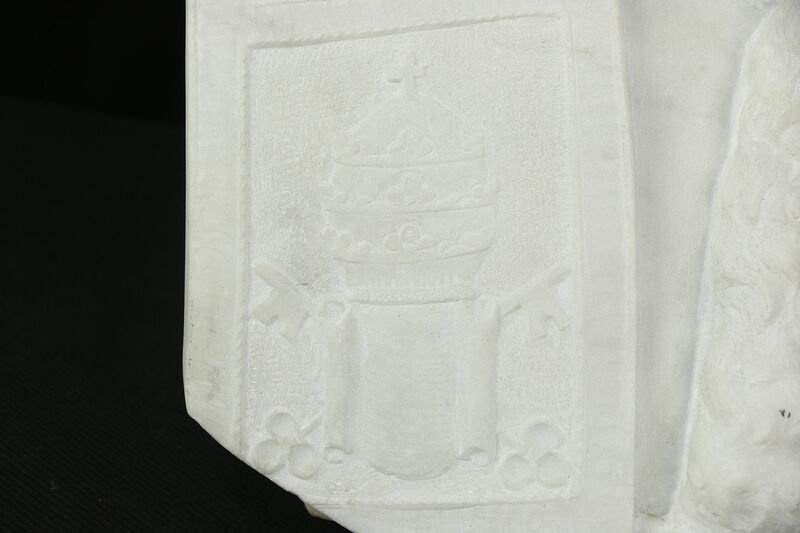 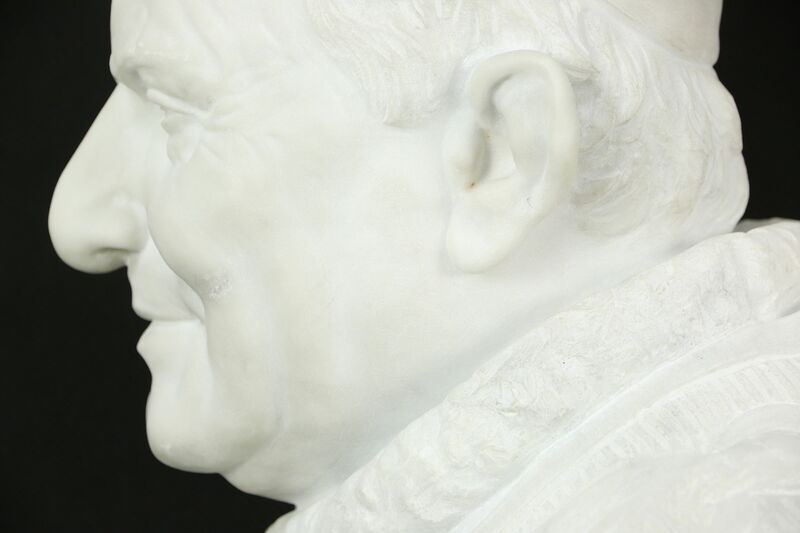 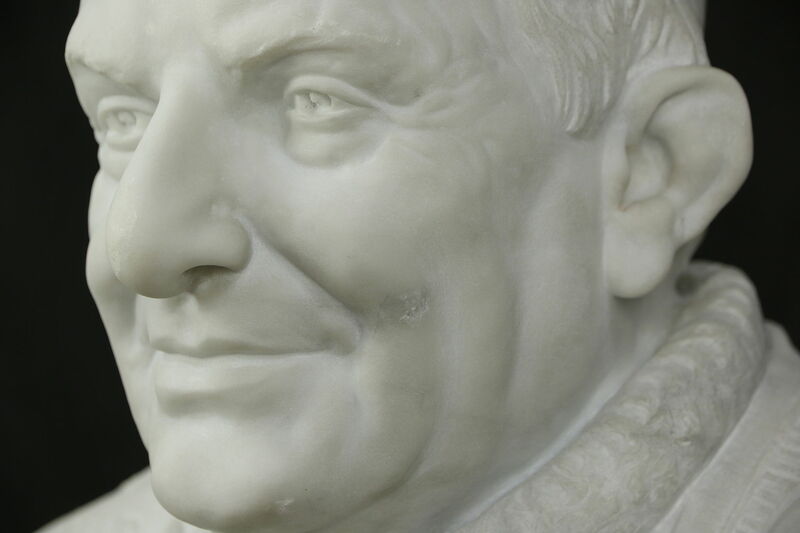 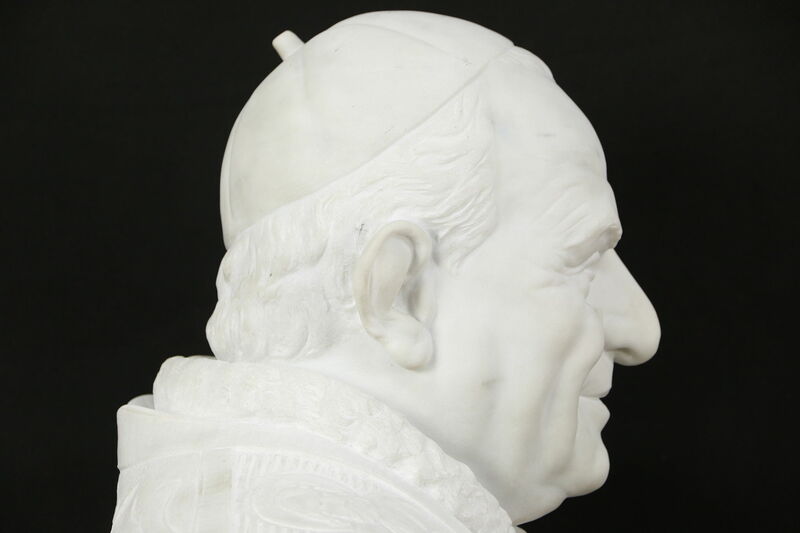 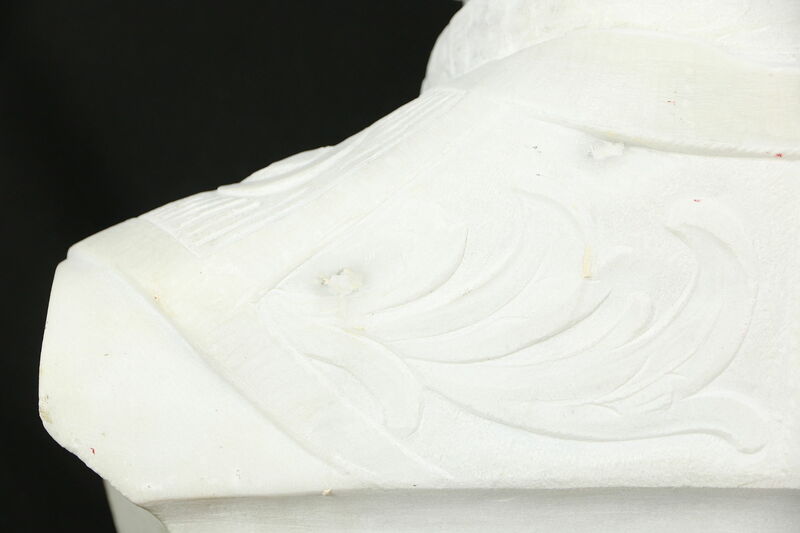 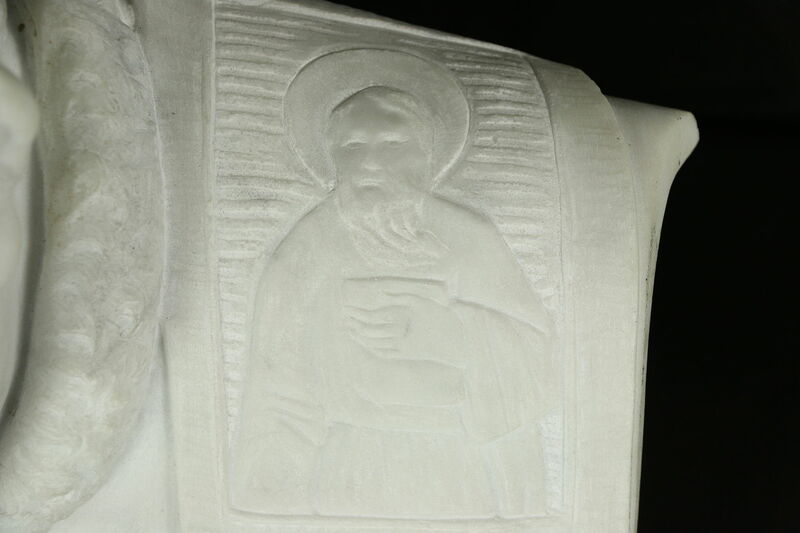 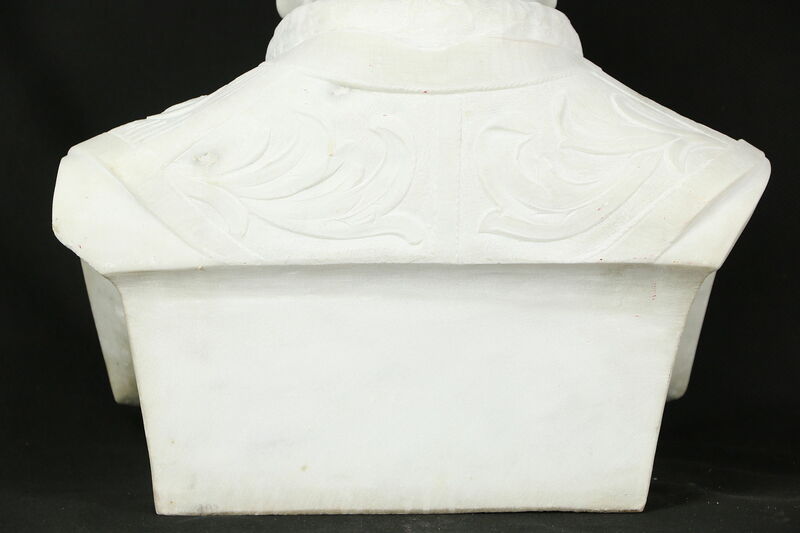 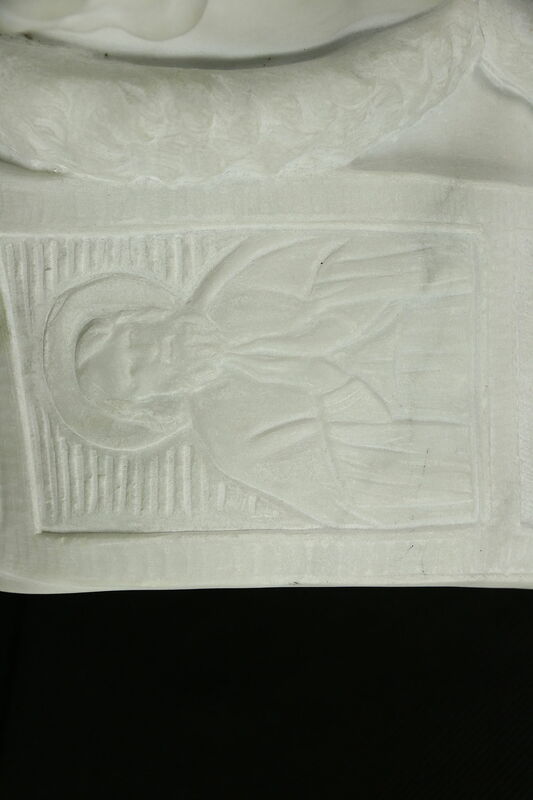 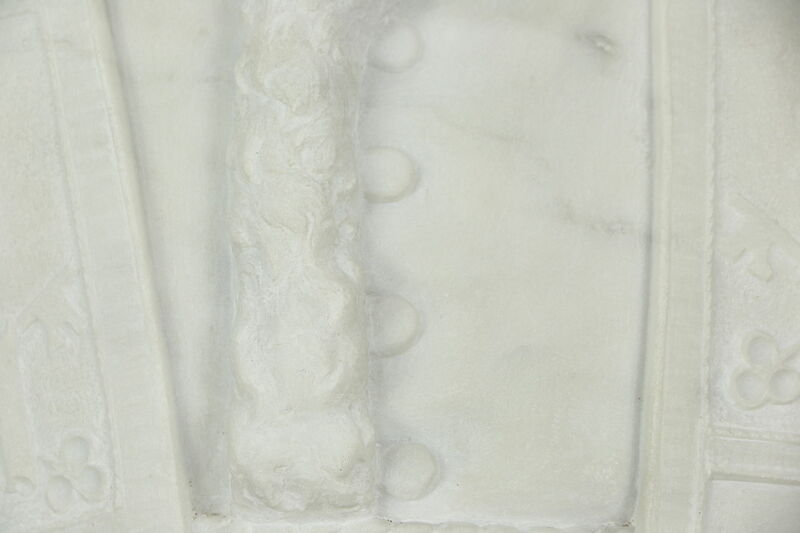 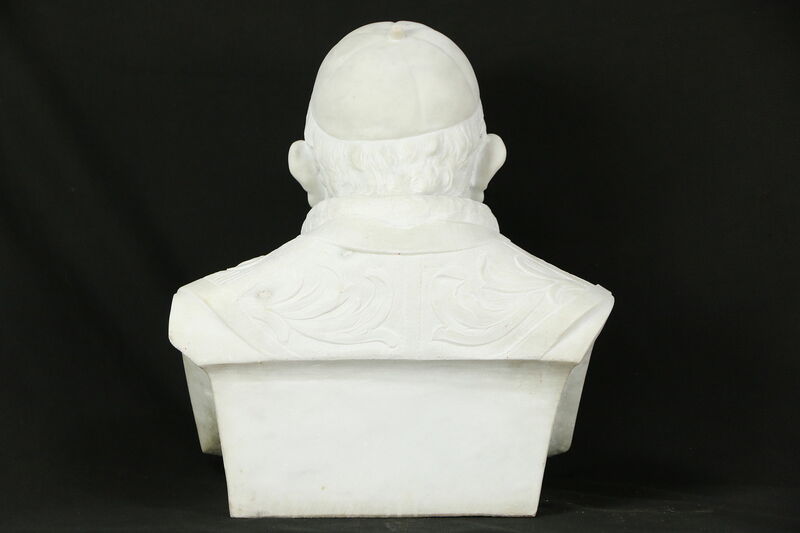 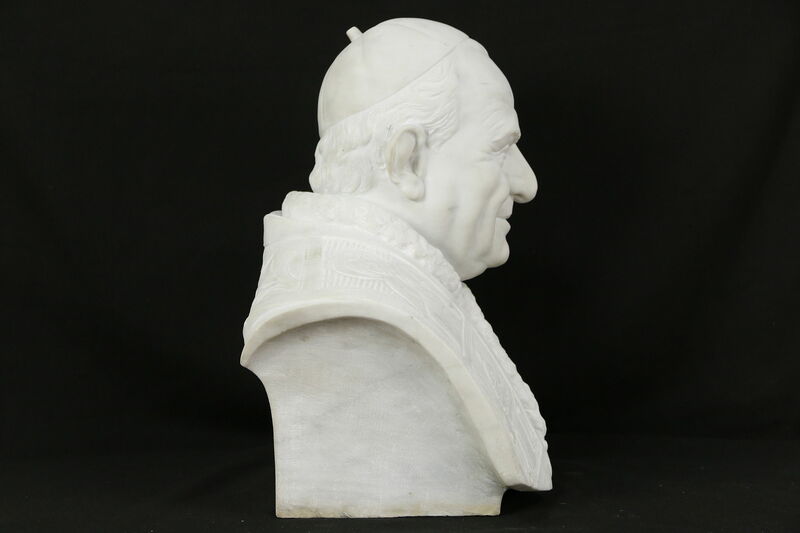 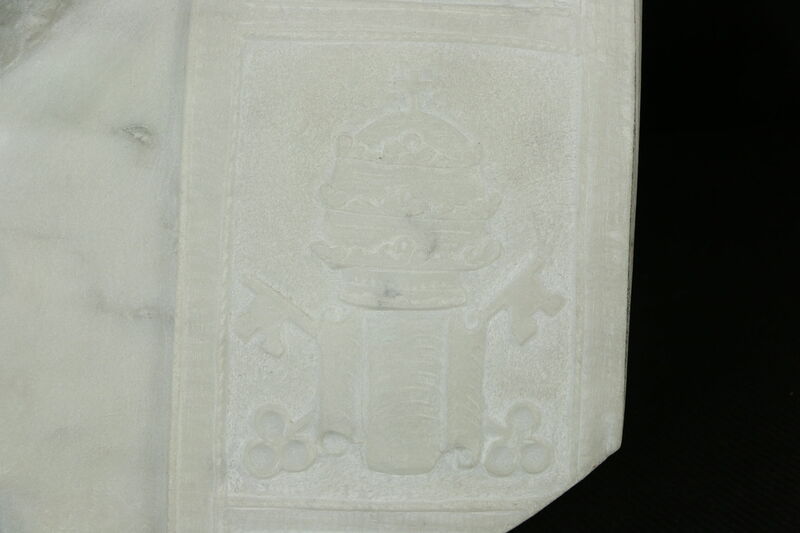 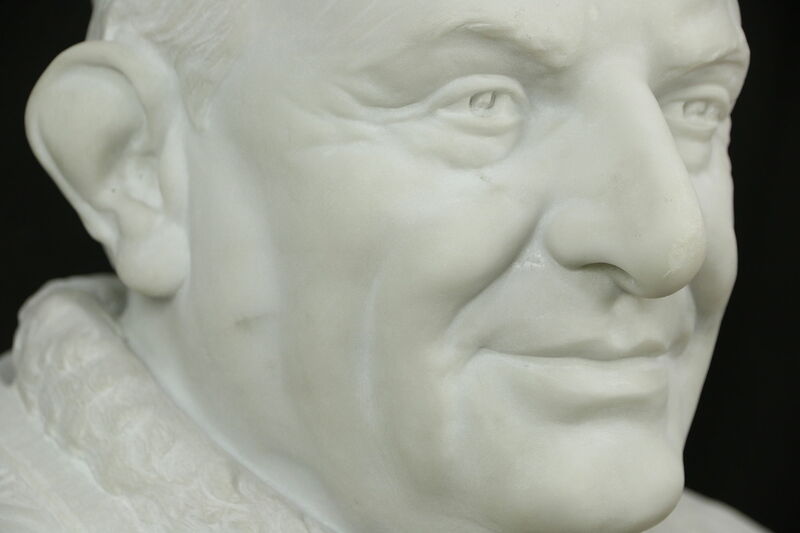 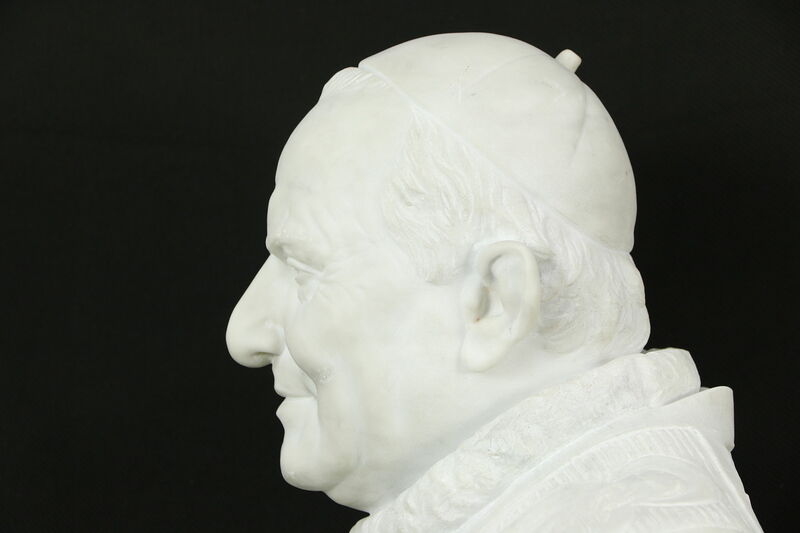 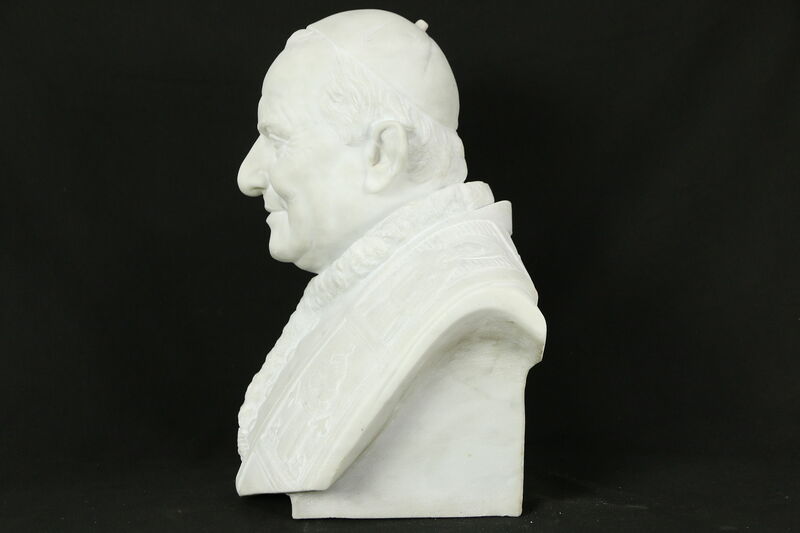 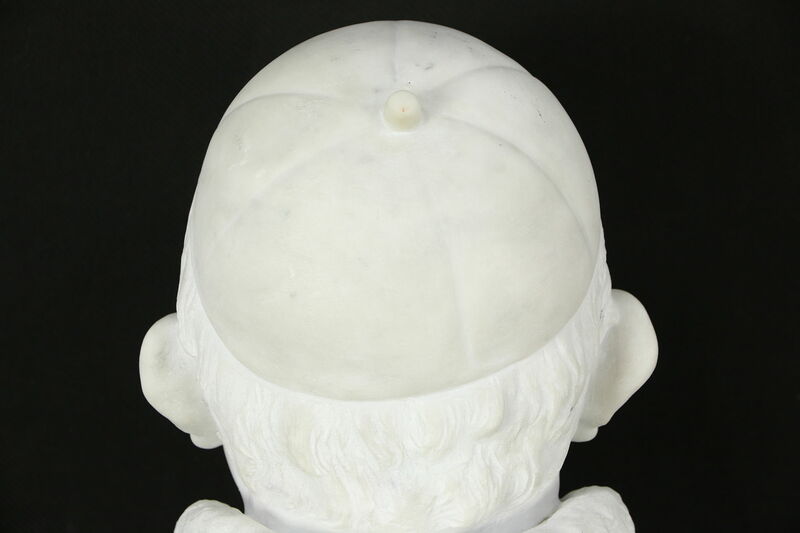 This hand carved marble bust of the beloved Pope John XXIII is wonderfully detailed. 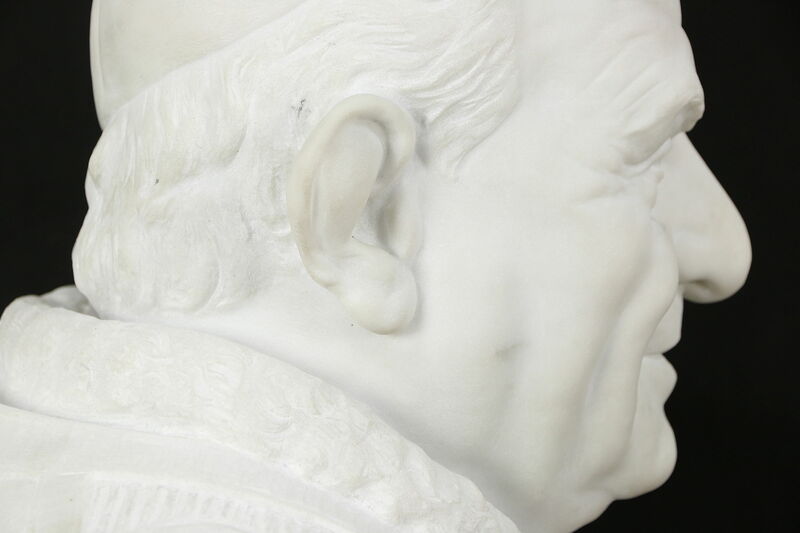 We find no artist's signature on this life size work of art. 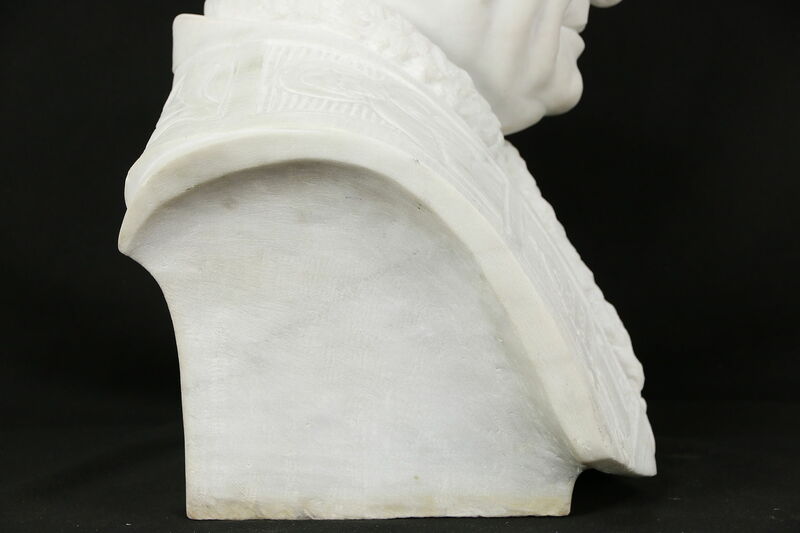 His peaceful and kind countenance is finely chiseled, he wears the symbols of his office. 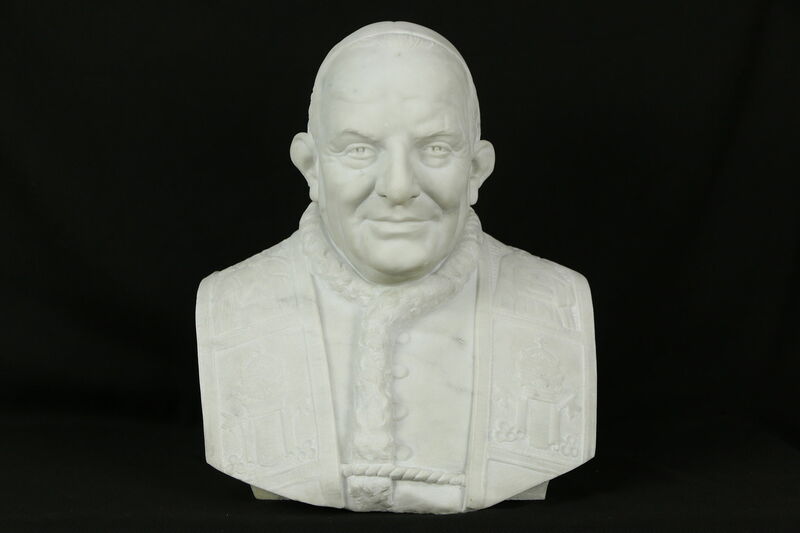 John Paul was born in Italy and lived 1881-1963, and served as Pope 1958-1963. 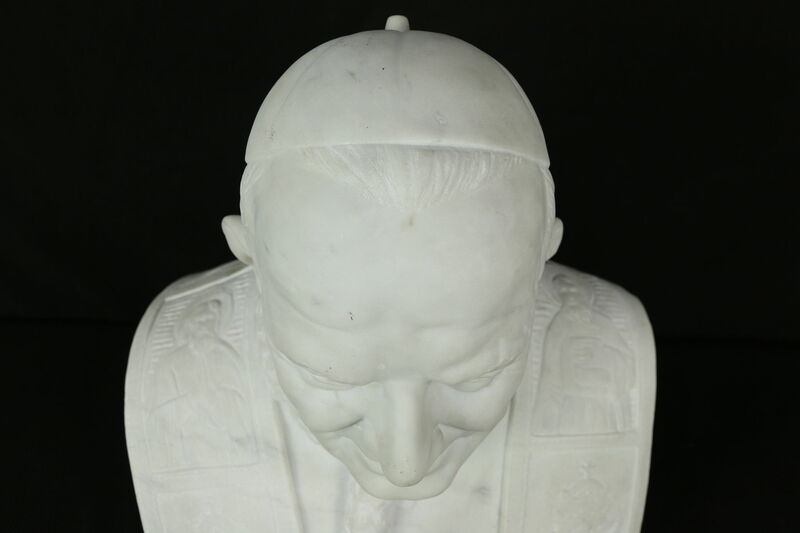 This sculpture was said to have been brought from Italy after his death. 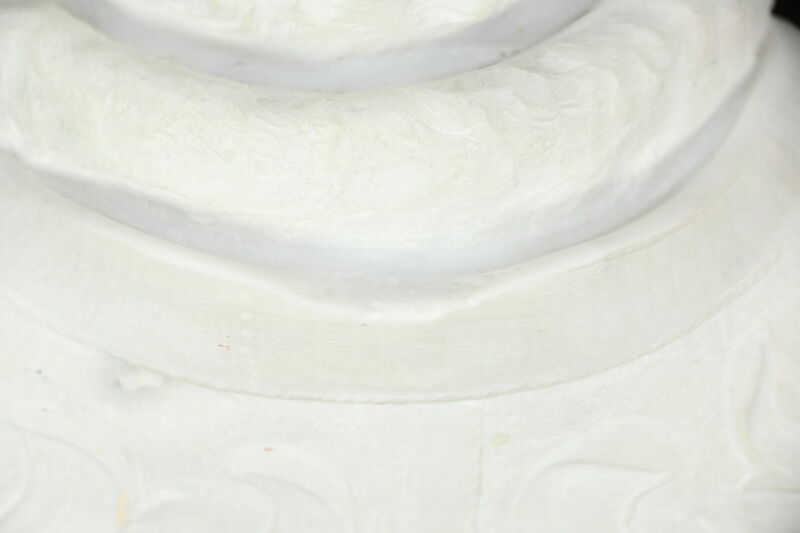 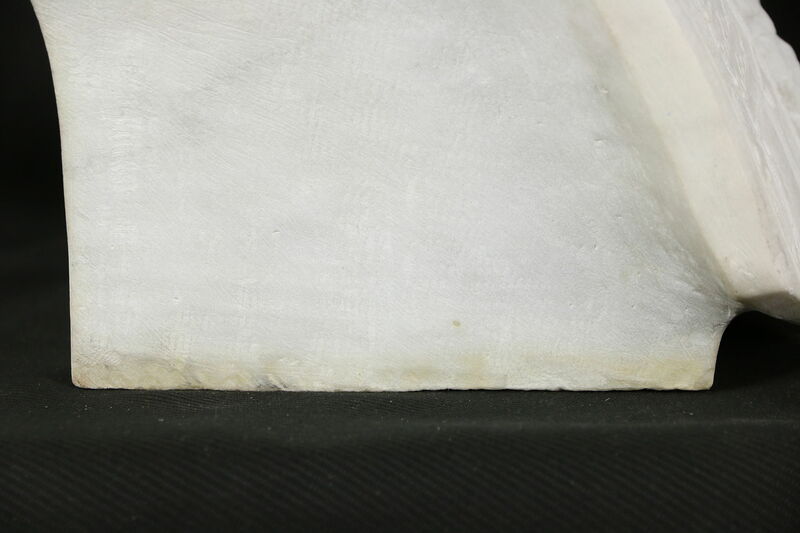 There is a loss to the back of the collar, see photos. 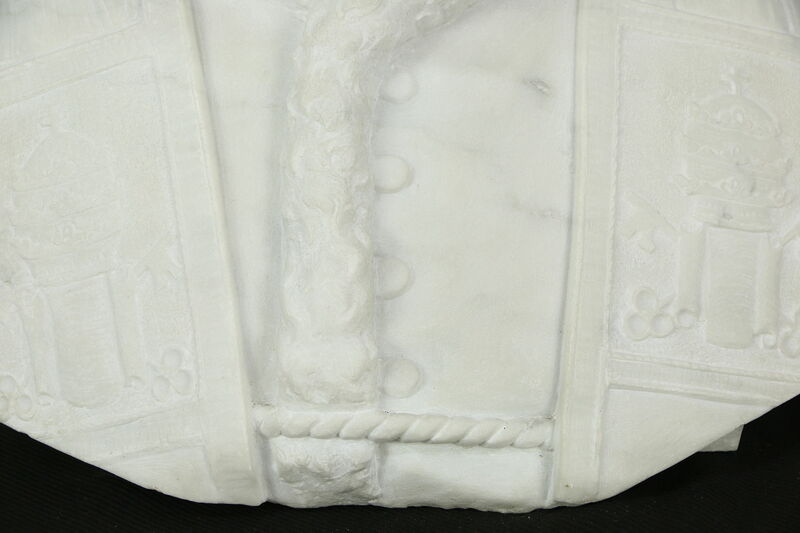 Measurements are 17" wide, 11" deep and 19" tall and weighs 136 lbs.